Apparently, the concept of "Tartan Day" began at a meeting of the Federation of Scottish Clans in Nova Scotia on March 9, 1986 where they decided to celebrate their Scottish heritage in an annual wearing of tartans on April 6th, the date on which the Declaration of Arbroath was signed in 1320. Of course, being a McKinlay, my family has its own tartan. It was a fine day that my Grand Uncle Donald presented my brother with the family tartan in the form of a tie. Sort a right of passage for a Scottish lad, at least in our family. Girls get skirts although, given that we are Scottish, I'm thinking my brother should have gotten the skirt (kilt) and I could have made use of the tie. But I digress. Here's a little history on Tartans, gleaned (didn't we learn the origin of that word this week in Monday's post?) from this fabulous website: Historic UK. "Early tartans were simple checks of perhaps only two or three colours. The colours were extracted mainly from dye-producing plants, roots, berries and trees local to a specific geographic area. These simple checks or tartans were worn by the people of the district where they were made, and as such became the area or clan tartan." "For several centuries, tartan remained part of the everyday garb of the Highlander. Whilst tartan was worn in other parts of Scotland, it was in the Highlands that its development continued and so it became synonymous with the symbol of clan kinship." And, yes, this whole post was just an excuse to look at pictures of men in kilts. If anyone hasn't seen Scottish men in kilts doing yoga, well, here's a link for you but you may want to have a fan and a bucket of ice at the ready because, yes, it does answer the question of what they wear under the kilt (you're welcome): Kilted Yoga. All right, who out there has a tartan of their own? Alas, no tartan of our own here . . . 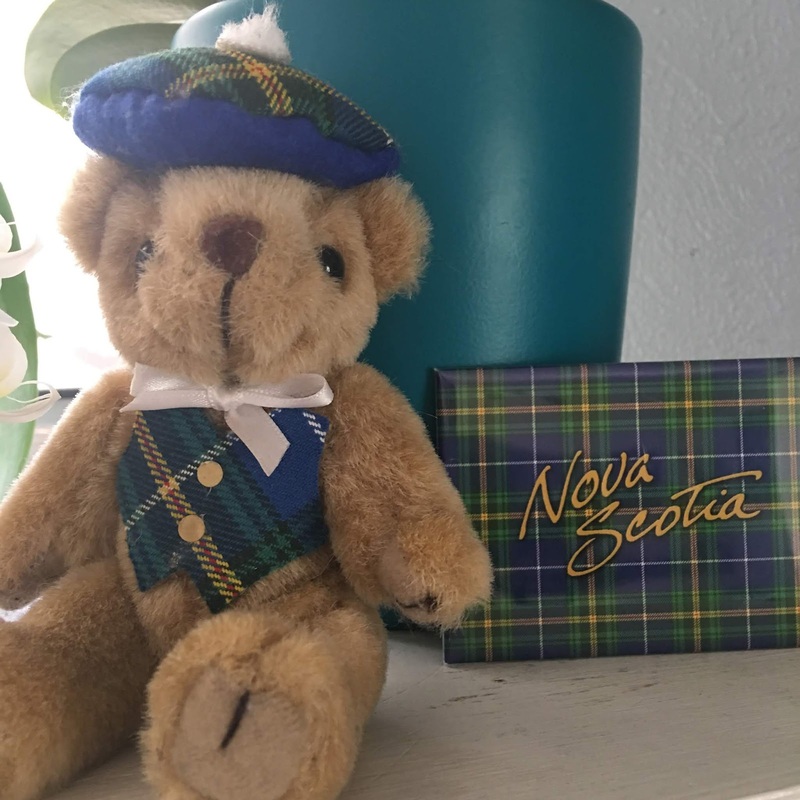 I love that even the teddy bears wear tartans! I don't have a tartan, either. Well, maybe. My paternal grandmother was a Huston. The Hustons are somehow tucked in with the MacDonald clan, so share their tartan. My son has a necktie with his tartan for the U.S. 7th Cavalry. It is an official, registered tartan and only those who have served with the 7th Cav can wear it. Garry Owen! I had no idea there was a 7th Cavalry tartan - that is so cool! McDole. Yellow and black would be our colors. Or so my sister was informed by a life long fire who is very much into his Scot heritage. Oh, I like the black and yellow! Yes...(panting because of the kilted yoga video), I do! The Maxwell tartan is a lovely red with a large plaid of dark green. All my menfolk have ties and I had a skirt when I was younger. I took it apart and made a Christmas vest for my one-year old, which the second one wore, too. But I think I have enough left to make a vest for myself. Must check the cedar chest. Ha - one of those pictures I'd already shared popped up on Facebook, so I shared it to my personal page again - the pic of my four year old and one year old with the baby wearing the Maxwell tartan vest! Take a peek. Edith, that photo is adorable!! No tartan here, as far as I know. But that doesn't stop me from wearing them. Yours is beautiful, Jenn, but then I've never seen an ugly one. Off to watch the yoga. You Bet we have a tartan!!! Of course there is the obvious McPherson (MacPherson) however there in the not as obvious "Lamont" on my father's side two generations back. We have a a long-standing favorite restaurant here called the Tam O'Shanter. Given the name you can probably guess the decor, right? In the pub/carver area there is this one little two top table and on the wall is the framed tartan for the Lamont family and a brief description of its history. I feel a tiny little sense of validation every time I seat there. Now that you mention it though, I don't have anything in either of the tartans in my wardrobe. I must rectify this! There is something about having the threads of your ancestry in hand that is very grounding, isn’t it? Just watched the video - good golly molly mcguire. That jumped started my day. Not a drop of Scottish blood here, although I wore Black Watch plaid skirts as a uniform in high school. Have you noticed, plaid is hardly seen these days in fashion? A friend who grew up in Finland, and still buys most of her clothes in Europe, was wearing a plaid dress recently, and it made me realize how rare it is to see, and for a long time now. It is not easy to sew with plaids, and takes extra time to cut the fabric so it matches. I am guessing that's why it isn't used much in recent years. Clothing is shockingly cheaply made, even "high-end" garments. My youngest daughter is now married to an Irvine, and of course they have an Irvine Clan tartan, in greens and blues. She also graduated from The Citadel, which has its own tartan, worn as kilts by the Citadel Regimental Pipe Band. That one is a lovely muted grey/blue. Which reminds me that I want to make some pillow covers in both tartans for them as an anniversary gift. Second one coming up soon. I had no idea Irvine was a Scottish name. I graduated from University of California, Irvine. Wish I'd known then. True about plaids these days! My sons have flannel PJ pants, and Hugh still wears plaid flannel shirts, but that's about it. My son-in-law is 100% Scots, and you could easily see him throwing a caber while wearing a kilt. Oh, that sounds like a lovely plaid. I’m trying to teach myself to knit in plaid - mental, I know! My grandparents gave me a Nova Scotia tartan skirt as a girl, because Grandpa's parents were natives of Wolfville, NS. I have the splint-seated wagon seat used to transport children in a wagon from the NS barn. Hamilton hunting (green/blue/white) and dress (red/blue/white) tartans. Wolfville! Our family cottage is up by Scots Bay and Cape Split! What a small world. I’ve been trying to get the hooligans to attend Acadia Univ for years! Margaret, I love the name Hamilton. It makes me think of Alexander Hamilton and the current Broadway hit! Thanks for the Kilted Yoga, Jenn! Wow. I love it because it's pretty and distinctive. LOL - that kilted yoga will wake you up, yeah? Off to look at your tartan! I've never known of a Daly tartan, since that's Irish, but being of the Addison family by marriage--my mother's--I lay claim to the Gordon Tartan. But for me, every day is Tartan Day. Same. I had a plaid lunch box as a kid - by choice! Ahhhhh...no. But I certainly do love watching outlander! And don’t you adore the clothes? All the tartans, and that great fabric, and how useful the shawls and capes and blankets and kilts are. So gorgeous! Not to mention the knotted shawls and snoods and scarves. So luscious. Outlander is fantastic - they’ve done such a great job with the costumes and the casting. My mother was a McDonald so I grew up with tartans. I have Dress McDonald, Hunting McDonald, and Ancient McDonald stoles that my mother made. She bought material on a trip to Scotland and then cut and fringed stoles for my sisters and me. One of my cousins married a man also of Scottish descent and the men all wore kilts. Her wedding dress was a McDonald tartan silk skirt with a lace top made from her mother's wedding dress. It was lovely. All of the woman guests wore a tartan stole. Ooh, what a lovely wedding party that must have been. My heart! That must have been beautiful! My birth last name is Battin.. ergo Batten of Argyll clan. The tartan is also the official tartan for the St. Andrew's Legion/St Andrew's Pipes and Drums headquartered in Richmond VA. The history said anyone who had Scotish ancestors who settled in the Virginia Colony can wear the colors. I caution you, one thread looks like it is fuchsia, making this one of the gaudy tartans. Gaudy Tartan! LOL - that feels like book title! McIntire/ McIntyre, from my mom's side of the family. I usually use the dress tartan, which is primarily red, but the hunting is a nice forest green and I use that too sometimes. I also like the California State Tartan. It's based on the Muir tartan, in honor of John Muir, but is different enough to be registered separately. Jenn, Happy Tartan Day! I love, love, love, love the photo of Angus the Teddy Bear wearing a tartan. The colors are my favorite! I have several tartans. Gordon. Graham. MacDiarmid ? Galbreath ? (? Because I am not sure of the correct spelling). When I was about 4 years old, I went to a Catholic school and our uniforms had tartan skirts in blue and green for girls. Speaking of Nova Scotia, I had a college professor whose family had a cabin in Nova Scotia since the American Revolutionary War! His ancestor was a Loyalist who escaped to Canada with his family. Every summer this Professor and his family go to the cabin in Nova Scotia. Now my professor is buried in the family cemetery there. My professor was born in the USA and so were his children. Every year we celebrate Robert Burns' birthday, which is also in my birthday month! Thank you, Diana! I love Robert Burns day! Jenn, I'd seen the Kilt Yoga video before, so thanks for the reminder! What a nice way to start the day! Crombie is my ex-husband's name, but if I remember correctly, Crombie falls under the MacDonald umbrella and can use the MacDonald tartan. 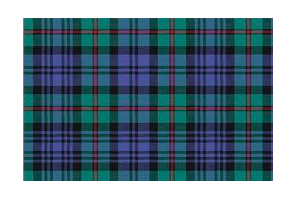 Doing a little research this morning, I found that someone named Harry Crombie has registered a tartan for personal use--very pretty, in greens, blues, blacks, and purple. I'd wear it! I also found my name listed under Notable Crombies! You are our Notable Crombie, Debs! Shalom Reds and fans. I think the Squires in my name comes from Britain or Ireland by way of Barbados, although I haven’t done the genealogical research. I do remember though that when I was younger and finally had some money to spend on myself, I purchased a Burberry raincoat which was a status symbol in New York in the late seventies. There is a black and white movie that I love from the late sixties I think, called The Battle of the Sexes. It is set in Scotland. A young man (I think played by Robert Morley) who has inherited a textile mill. He returns from a vacation in America with a bride-to-be in tow. She happens to be a time-study person and is appalled that the mill is doing things the same way they have for centuries. The story was inspired by the short story written by James Thurber called The Catbird Seat. Peter Sellers plays the aging head of the accounting department and realizes that they will all be out of work if she succeeds and soon they are pitted against each other in mortal if genteel, combat. I haven’t seen it in many years but I probably first saw it at a screening in the Museum of Modern Art, where I had a membership in my late teens courtesy of my Aunt Una. Oh, I love the premise of that movie, David. The history of textiles is fascinating - at least to me. My mother's family were McEachrons, (MacEachran, McEachern, etc.) The McEachrons were a sept of MacDonald of Islay and Kintyre, so that's our tartan. My son has a kilt and ite in that tartan, and I have to say, despite some skepticism on my part, he's found many, many occasions to wear it. LOL - I bet Spencer wears it well. No tartan to my name but I've been married 25 years to a Robertson and attended a gathering of the Robertson of America in 1994. Lots of people in tartans, dances and music, it was fabulous. Your family tartan has lovely colors. I"m waiting for a break to indulge (I'm sure that's the right word!) in the yoga pictures! LOL - do let us known if you find him! My Uncle Don played bagpipes in the the local Scottish band so I knew the under the kilt answer but OMG, that video has me breathless. Must be the boots, don't you think? LOL - the boots definitely add to the overall look of...um...wow. I'm a McKinlay by birth, so you and I share a tartan in common. Interestingly enough, there is an "Antique" tartan and a "Modern" Tartan. The "ancient" has a lighter blue and a tighter pattern. The one you show is the "modern," the one that my Great, Grandfather passed down to my grandfather. I brought 4 yards home from Scotland, and I'm trying to figure out what I want to make with it. In the meantime, I decided to try and knit a baby sweater in the McKinlay tartan for my first born niece. It came out great.